CleanApp for Mac is software created to help you to eliminate applications, running under Mac OS X. So far only the program package has been moved to trash, leaving any appendant files untouched, that have been spread all over the system. To delete these files, one has to manually locate them, which is extremely time consuming, and most people renounce to install software for a quick test. a program created to help you to eliminate applications, running under Mac OS X. Since the Logging-Service records all changes directly on file system level, CleanApp will provide comprehensive informed suggestions which files to get rid of when uninstalling an application. 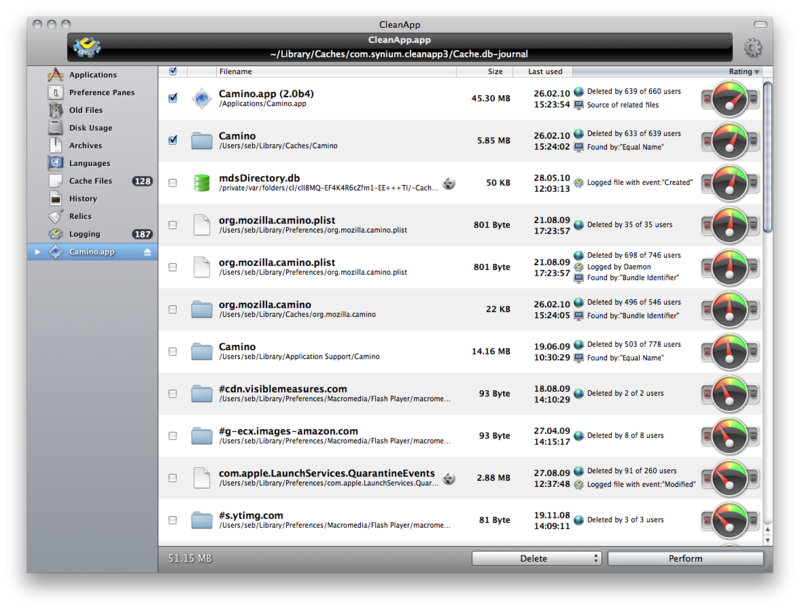 With CleanApp for Mac, removing language packages from applications is a piece of cake. If you don't speak more than one or two languages, why would you keep the excess ballast around? Simply find and remove all the localizations and documentation you don't need and reclaim your precious hard disk space. Universal Binaries make applications compatible to PowerPC-based Macs, as well as the current intel based models. This means that you could get rid of up to half the program code, freeing up a lot of hard disk space. Qweas is providing links to CleanApp for Mac 3.4.8 as a courtesy, and makes no representations regarding CleanApp for Mac or any other applications or any information related thereto. Any questions, complaints or claims regarding this application CleanApp for Mac 3.4.8 must be directed to the appropriate software vendor. You may click the publisher link of CleanApp for Mac on the top of this page to get more details about the vendor.